Methods of crop improvement: plant breeding, introduction, selection and techniques of hybridisation. Polyploidy - origin of wheat must be discussed. Definition of heterosis, protoplast culture and protoplasmic fusion. Biofortification: meaning and its role in improving food production. Green Revolution refers to a series of research, development, and technology transfer initiatives, occurring between the 1940s and the late 1970s, that increased agriculture production around the world, beginning most markedly in the late 1960s. The initiatives, led by Norman Borlaug, the "Father of the Green Revolution" credited with saving over a billion people from starvation. 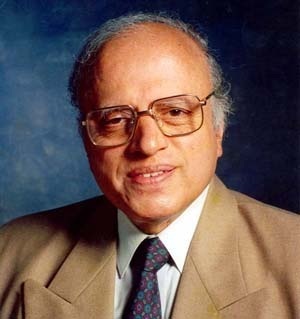 M.S Swaminathan is renowned for his leading role in India’s "Green Revolution," a program under which high-yield varieties of wheat and rice seedlings were planted in the fields of poor farmers. Crop improvement involves two major approaches. Development of new or improved varieties : This can be done by combining thedesirable and superior characters from selected parents in one plant species and then multiplying it. Improvement in management practices : Mixed farming, mixed cropping, crop rotation and use of biofertilizers and insecticides etc. can be include in agricultural practices. Improved variety : Superior to the other existing verities of the same crop. DEFINITION: Plant breeding is the purposeful manipulation of plant species in order to create desired plant types that are better suited for cultivation, give better yields and are disease resistant. Conventional plant breeding has been practiced for thousands of years, since the beginning of human civilisation; recorded evidence of plant breeding dates back to 9,000-11,000 years ago. Many present-day crops are the result of domestication in ancient times. Today, all our major food crops are derived from domesticated varieties. Classical plant breeding: involves crossing or hybridisation of pure lines, followed by artificial selection to produce plants with desirable traits of higher yield, nutrition and resistance to diseases. Modern plant breeding : With advancements in genetics, molecular biology and tissue culture, plant breeding is now increasingly being carried out by using molecular genetic tools. Genetic variability is the root of any breeding programme. In many crops pre-existing genetic variability is available from wild relatives of the crop. Collection and preservation of all the different wild varieties, species and relatives of the cultivated species (followed by their evaluation for their characteristics) is a pre-requisite for effective exploitation of natural genes available in the populations. The genetic variation can be introduced by following methods. Domestication is the process of bringing wild species under human management. The present day cultivated plants have been derived from wild species. Most of the present day crop were domesticated by prehistoric man. The sum total of genes present in all the individuals of a species is known as the germplasm of the species.The entire collection (of plants/seeds) having all the diverse alleles for all genes in a given crop is called germplasm collection. It includes storage of the germplasm in gene banks. International bureau of plant genetic resources (IBPGR) is greatly concerned with this genetic erosion and coordinates germplasm conservation throughout the world. The process of introducing new plants from their growing place to a new locality with different climate is termed as plant introduction. The adjustment of such plants to their new locality is called acclimatization. The new crop or the new varieties may be introduced in the form of seeds or cuttings. It is a rapid method to effect improvement with minimum effort and costs. Examples: Groundnut was introduced in India in the beginning of 19 century from Philippines, Cinchona from Peru, Papaya from West-Indies, Potato from South America, Pineapple and rubber from Brazil. Mutation is the process by which genetic variations are created through changes in the base sequence within genes resulting in the creation of a new character or trait not found in the parental type. It is possible to induce mutations artificially through use of chemicals or radiations (like gamma radiations), and selecting and using the plants that have the desirable character as a source in breeding – this process is called mutation breeding. In mung bean, resistance to yellow mosaic virus and powdery mildew were induced by mutations. Definition: Hybridisation is the technique of introducing characters of two desirable species into a single offspring by means of artificial pollination. a) Intravarietal hybridisation : Crosses between plants of the same variety. b) Intervarietal hybridisatlon : Crosses are made between plants of two different varieties of the same species. c) Interspecific hybridisatlon : Crosses are made between two different species of the same genus. The term heterosis was given by G.H.Shull. It refers to exhibition of superiority of the hybrid over both of its parents in one or more traits. Greater height, weight, size and number of the different parts of the plants. Increase in yield and growth. Hybrid vigour has been commercially exploited in different commercial crops like maize, sorghum, bajra, tomato, sugarbeet, petunia, zinnia and cucmber. Most organisms possess two sets of homologous chromosomes. Such organisms are diploid. Polyploid: An organism which possesses more than two sets of chromosomes in their somatic cells are celled polyploid. Polypoidy: Phenomenon of having one or more genomes in addition to the normal number for the species. Euploids: Polyploids whose somatic cells contain an exact multiple of the haploid set of chromosomes are called euploids. 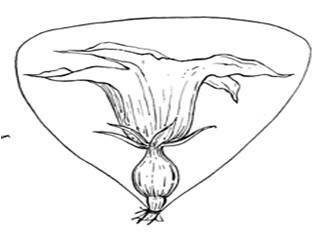 Aneuploids : Plants whose somatic cells do not contain an exact multiple of the haploid set are called aneuplods. Contains more than two copies of a single genome. Contains two or more genomes and each genome is ordinarily present in two copies. The polyploidy which takes place within a species and results due to multiplication of the same set of chromosomes. It can be induced artificially by the use of a chemical called colchicine which arrests and breaks the spindle so that nuclear division is not followed by wall formation. All autopolyploids exhibit gigas effect i.e., larger size, more juice, more sugar, more grains etc. Triploids are sexually sterile which are propagated vegetatively e.g., many banana varieties, seedless water melon, triploid sugar beet with more sugar and larger roots, some apple and pear varieties with large sized and more juicy fruits. An autotriploid (three copies of a single genome) variety of tea has also been developed in India. 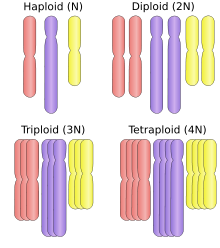 The polyploids which arise as a result of chromosome doubling following hybridisation of two distinctly different species are called allopolyploids. It is also called interspecific polyploidy because increase in number of genomes or chromosome sets is due to pooling from individuals of two or more species caused by hybridisaion followed by chromosome doubling e.g., AABB, AABBCC. Among artificially produced allopolyploidy Triticale is the first man made crop derived by crossing wheat (Triticum) and rye (Secale). The chromosome number of the resulting F 1 was doubled to produce triticale. DEFINITION : Plant tissue culture is a technique with which plant cells, tissues or organs are grown on artificial nutrient medium, either static or liquid, under aseptic and controlled conditions. Organ cultutre in which an organ is grown isolated from the parent plant. EMbryo culture in which an isolated or immature embryo is grown in nutrient medium. Tissue culture in which cell is isolated from a parent plant and grown to form callus or to regerate organs or into whole plant body. Suspension culture in which isolated cells or small clumps of cells are grown in a liquid medium. Embryo rescue for successful hybridization. In mass selection seeds are collected from a large number of phenotypically similar plants available in population and are bulked to grow next generation. In the simplest manner it is the creation of mixture of different lines. The germplasm is evaluated so as to identify plants with desirable combination of characters. The selected plants are multiplied and used in the process of hybridisation. Purelines are created wherever desirable and possible. The desired characters have very often to be combined from two different plants (parents), for example high protein quality of one parent may need to be combined with disease resistance from another parent. This is possible by cross hybridising the two parents to produce hybrids that genetically combine the desired characters in one plant. 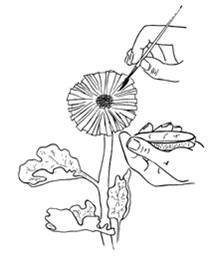 This is a very time-consuming and tedious process since the pollen grains from the desirable plant chosen as male parent have to be collected and placed on the stigma of the flowers selected as female parent (In chapter 2 details on how to make crosses have been described). Also, it is not necessary that the hybrids do combine the desirable characters; usually only one in few hundred to a thousand crosses shows the desirable combination. This step consists of selecting, among the progeny of the hybrids, those plants that have the desired character combination. The selection process is crucial to the success of the breeding objective and requires careful scientific evaluation of the progeny. This step yields plants that are superior to both of the parents (very often more than one superior progeny plant may become available). These are self-pollinated for several generations till they reach a state of uniformity (homozygosity? ), so that the characters will not segregate in the progeny. The newly selected lines are evaluated for their yield and other agronomic traits of quality, disease resistance, etc. This evaluation is done by growing these in the research fields and recording their performance under ideal fertiliser application irrigation, and other crop management practices. The evaluation in research fields is followed by testing the materials in farmers’ fields, for at least three growing seasons at several locations in the country, representing all the agroclimatic zones where the crop is usually grown. The material is evaluated in comparison to the best available local crop cultivar – a check or reference cultivar. Protoplast: Protoplasts represent the plant cells minus their cell wall (i.e., the naked cells) which are removed by either a mechanical or an enzymatic devices. Application of protoplast culture : The use of protoplasts for the introduction of foreign germplasm, somatic hybridization, and for studies of hormone action, membrane structure and function, and cell wall synthesis are well documented for model plant systems. These aspects of protoplast applications are described in application section. Source of protoplast : Most of the early works on protoplast technology were confined to spongy and palisade mesophyll cells obtained from mature leaves of Nicotiana and Petunia. However, at present, the protoplasts can be obtained either indirectly from in vitro cultured tissues, e.g. suspension cultures or callus tissues, or directly from the intact tissues of the plants such as pollen, fruits, tumors, leaves etc. Mechanical Disruption : The mechanical disruption of cell wall to obtain isolated protoplasts involves cutting a plasmolysed tissue with a sharp razor. This enables release of protoplasts through the cut ends of cell walls. In practice, this technique is difficult and the yield of viable protoplasts is meager. Enzymatic Dissolution : The common enzymes used in the process are pectinases, hemicellulases, cellulases. These enzymes attack the chemical constituents of the primary wall and middle lamella. Pectinases are necessary to breakup cell aggregates into individual cells (i.e., losses the cells) while hemicellulases and cellulases do break down the cell wall. However, by using enzymes one can obtain a high yield (2.5 x 106protoplasts/g leaf tissue) of uniform protoplasts that can be cleaned of cellular debris. The isolated and purified protoplasts are transferred to suitable culture medium after testing their density and viability. Protoplasts have been cultured using different methodologies, for instance, on a liquid medium employing handig drop culture technique, in microculture chamber and in a soft agar matrix. The soft agar matrix technique is one of the better methodologies as it ensures supports for the protoplasts and permits observation of their development. Isolation of protoplasts from suitable plants. Mixing of protoplasts in (fusogen chemicals (i.e. chemicals promoting protoplast fusion, such as polyethylene glycol, PEG) or by electrofusion to produce heterokaryon. Wall regeneration by heterokaryotic cells. Fusion of nuclei of heterokaryon to produce hybrid cells. Plating and production of colonies of hybrid cells. Selection of hybrid, subculture & induction of organogenesis in the hybrid colonies. Transfer of mature plants from the regenerated callus. Novel interspecific and intergeneric crosses which are difficult to produce by conventional methods can be easily obtained. Important characters, such as resistance to diseases, ability to undergo abiotic stress and other quality characters, can be obtained in hybrid plant by the fusion of protoplasts of plant bearing particular character to the other plant which may be susceptible to diseases. Protoplasts of sexually sterile haploid, triploid, aneuploid plants can be fused to obtain fertile diploids and polyploids. Studying cytoplasmic genes may be helpful to carry out plant breeding. Most of the agronomically important traits, such as cytoplasmic male sterility, antibiotic resistance and herbicide resistance, are cytoplasmically encoded, hence can be easily transferred to other plant. Plants in juvenile stage can also be hybridized by means of somatic hybridization. Somatic hybridization can be used as a method for the production of autotetraploids. Breeding crops with higher levels of vitamins and minerals, or higher protein and healthier fats – is the most practical means to improve public health. In 2000, maize hybrids that had twice the amount of the amino acids, lysine and tryptophan, compared to existing maize hybrids were developed. Wheat variety, Atlas 66, having a high protein content, has been used as a donor for improving cultivated wheat. It has been possible to develop an iron-fortified rice variety containing over five times as much iron as in commonly consumed varieties. protein enriched beans – broad, lablab, french and garden peas.